One final design for the Historic Museum Preservation in North Carolina. 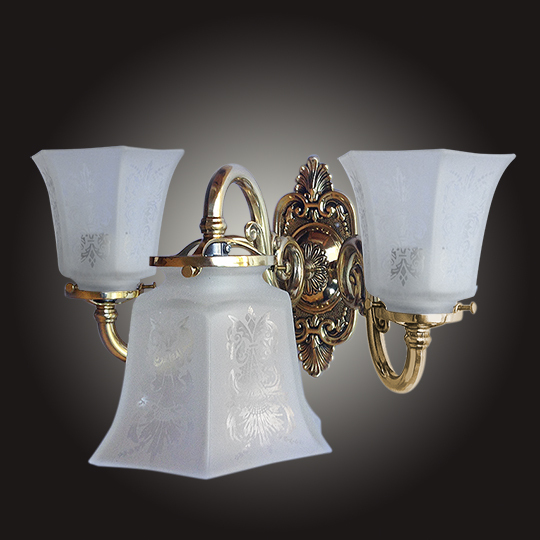 This one featuring 3 cast brass arms and following the interior design theme with the same hexagonal acid etched glass shade and back plate. Removing the front arm is no problem. Just tell us so at the time of your order. A two arm version would be beautiful as well! Width 14 In. / Projection 13 In. / Depth 9 In.